Who encouraged you to donate ? Let us know why you donated, tell your story, or send words of encouragement. Your comment may appear publicly. We Believe Travel Awakens Leaders. That's why we develop youth leaders through transformative experiences abroad. 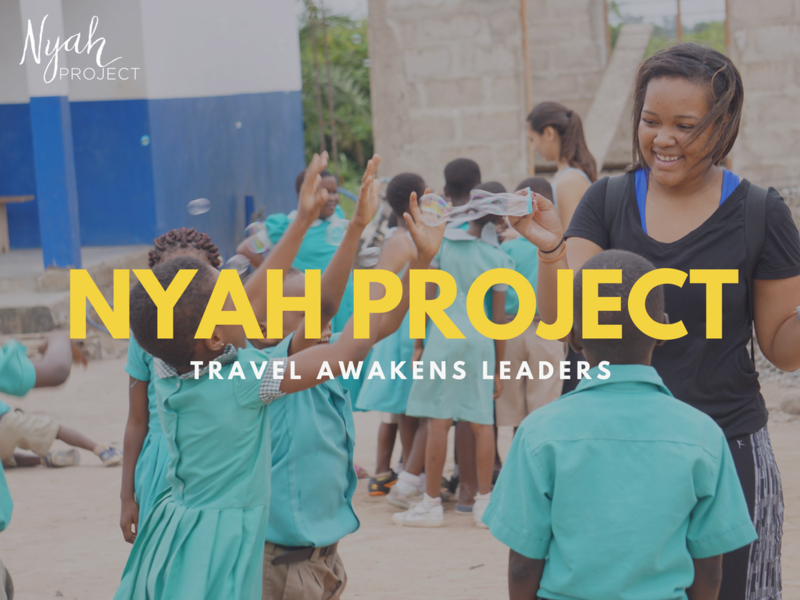 Each year we select a talented cohort of diverse teens from underserved communities as Nyah Project Fellows. But beyond globe-trotting, our fellows learn by doing: from social entrepreneurship and human factor leadership to exploring new cultures and exposure to world's beyond their reach in amazing international destinations, including Ghana, Costa Rica, South Africa, and Namibia- at no cost to them! 100% of our graduating fellows are admitted to college or university, and 90% win scholarships to support their post-secondary studies. Help us raise $42,000 to support a cohort of 12 young leaders through transformative experiences abroad. Along with amazing partners like you, we invest in the success of youth who are at at-risk of not maximizing their amazing potential. 100% of your donation goes towards cultivating young leaders through travel and service abroad. We are a 501(c)(3) charitable organization, EIN 47-4943992. All contributions are tax deductible. No goods or services will be provided in exchange for the contribution.